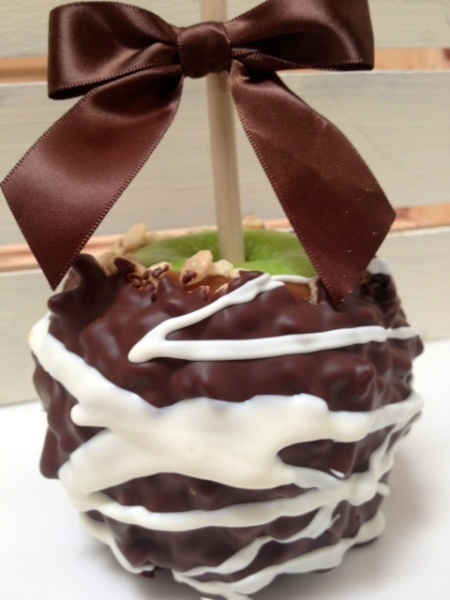 This Jumbo Granny Smith is dipped in our hand-crafted caramel, rolled in puffed cereal and dipped in Guittard Chocolate. Finished off with a white chocolate drizzle. Enjoy this krispy goodness today!